To be part of a truly amazing portfolio of artists combined with our innovative and creative marketing initiatives will allow an artist’s work to be profiled professionally and a global level. We pride ourselves on having a strong personal relationship with all our artists, offering unlimited support, feedback, direction and new ideas. Our artists are consistently highly-regarded by the public and the industry alike; this is demonstrated both by their success within the galleries, and by the impressive array of awards they have received. We are currently dealing with work from all over Europe, America and the Middle East - so whichever part of the world you are from we are always looking for exiting new talent. We look forward to reviewing your artwork. Here at DeMontfort Fine Art the team is always delighted to hear from new artists and we do consider all submissions very carefully. 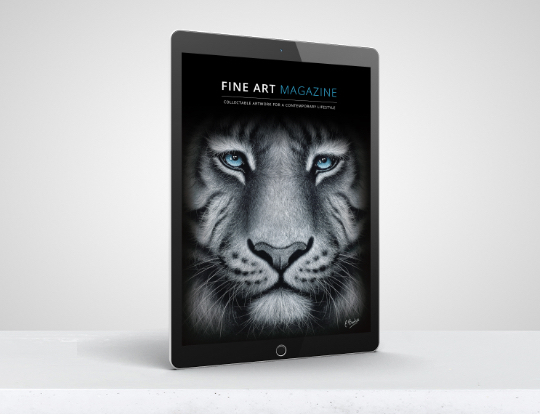 We are continually looking for raw talent that we can promote using all of our experience, expertise and investment - you produce the artwork and we will offer a fabulous platform to launch you into the fine art industry. Disc – (j-peg or Tiff images). If you wish to have your disc returned please supply an SAE. Your art will be carefully considered by our creative team who will assess it not only on merit, but also according to how it would sit within our portfolio. Please be aware that we receive a large number of submissions so will only contact you if we believe that there is a place for your work within our current collections. Thank you.